There are many great things about living in Stockwell, but one of the things lacking in the ward is green spaces - the only public green space in the whole of Stockwell ward is the memorial gardens, and that is hardly a place to take your kids to play (i'm not including green areas such as on estates like the Studley). There are 3 parks just on the boundary of Stockwell ward though - Larkhall Park, Vauxhall Park and the Slade Gardens. So I was interested to hear about the Mayor's competition to renovate London parks with a makeover of up to £400,000. 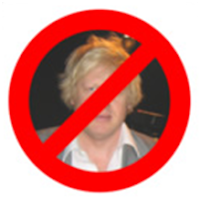 But Boris doesn't seem interested in our local parks - you can't vote for any of these to benefit from the Mayoral fund! In fact, the only ones you can vote for in the whole of Lambeth are Kennington Park or Spring Gardens. No disrepect to them - they may well need the extra cash, but it does beg the question - what are the Tories or their Mayor doing for Stockwell?